Property maintenance is an aspect that protects our property from damage by preventing potential problems before they occur. It is also what repairs our property when things sadly go wrong. Luckily the construction industry is one that is continually growing meaning whatever maintenance you need to carry out on your property you can. One part of your property that it is extremely important that you keep in good condition is your roof/guttering. The roof and guttering of a property must be kept in good condition. This is essential in order to keep a property waterproof. It is the roof and guttering of a property that keeps elements of the weather from damaging the contents and the structure of your property. The roof of a property differs depending on what the property is used for and where the property is based. The life span of a roof varies depending on aspects such as what material is being used on the roof. Some roofs may come with a life span of 20 years others may be 40 and some are stated as being lifetime. Even so in many cases damage is often caused to roofs through elements of the weather and through accidents that knock the materials of the outer layer of the roof out of place. There are many different types of material that can be used to make up a roof; these materials can range from seagrass or straw to glass or aluminum sheeting as well as concrete. In many parts of the world ceramic tiles have been the predominant roofing material for centuries. Also as well as coming in different materials, roof coverings are also made up of different shapes such as flat, single sloped, ridged or pitched and gabled. Most industrial and commercial structures have conventional roofs of a low pitch. The pitch of a roof is proportional to the amount of precipitation. So houses in areas of low rainfall frequently have roofs of a low pitch, while those in areas of high rainfall and snow have steep roofs. The pitch of a roof is the angle at which the roof rises from its lowest to highest point Most domestic architecture, except in very dry regions, has roofs which are sloped, or pitched. The pitch is partly dependent upon stylistic factors, but has more to do with practicalities. Some types of roofing, for example thatch, require a steep pitch in order to be waterproof and durable. Other types of roofing, for example pantiles, are unstable on a steeply pitched roof but provide excellent weather protection at a relatively low angle. If you are having a new roof fitted or you are having your roof repaired you need to think of the durability of the roof. This is important as the roof of a building is the least accessible parts of a building if you need to carry out repairs etc. 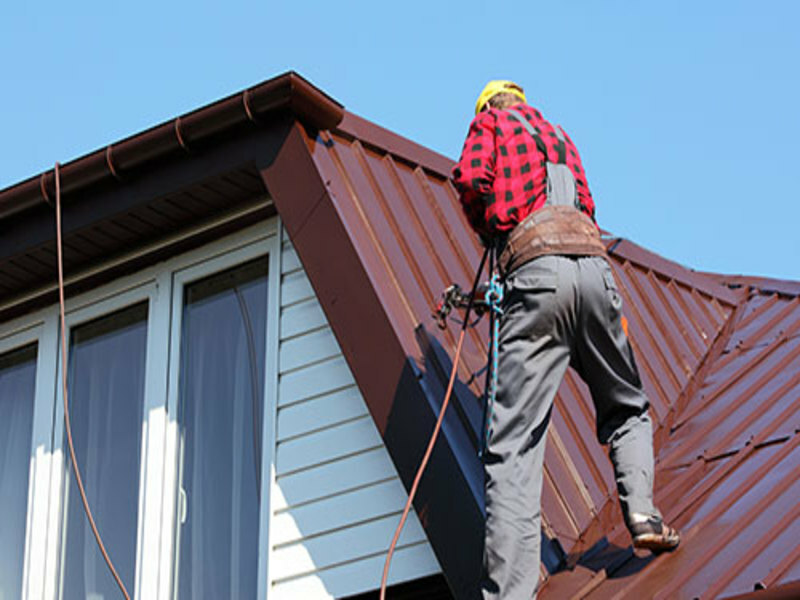 If you do have a problem with your roof that requires repair work to be carried out it is important that you hire the help of a professional to do the repair for you. For more information you can call us 0115 736 5995 and email us info@qualityroofingnottingham.co.uk or you can visit our website at http://www.qualityroofingnottingham.co.uk/.